Since we first opened our doors in 2005, Bob Boyte Honda has won the Honda President’s Award 13 years in a row—the first dealership ever to achieve this impressive feat. Our family-owned and operated dealership is proud to provide outstanding levels of customer satisfaction to our customers in Brandon, Madison, Ridgeland, Clinton, Jackson, Byram, and Pearl. 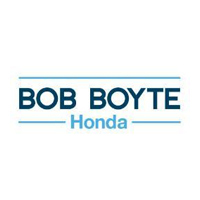 Bob Boyte Honda has everything most people are looking for in a quality auto dealer. This includes a premium selection of new and pre-owned vehicles, as well as a proven commitment to professional automotive services. In addition to new Hondas and the best selection of certified pre-owned Hondas in the country, we have a comprehensive service department where our factory-trained and certified technicians can handle all your maintenance, repair, and Honda parts needs. Get in and out quickly whether you schedule service online or drive up for an oil change. As a dealership with ownership and employee roots in the area, we’re happy to give back to the communities we serve. Over the years, this has included contributions to important causes like Clinton School District, MHAA Athletics, Billy Graham Evangelistic Association, Make-A-Wish Foundation, Camp Bulldog, The Salvation Army, and Special Olympics Mississippi. The sales, service, and parts teams at Bob Boyte Honda look forward to serving all your auto needs. Come see us at 2188 Highway 18 in Brandon, MS . We’re open Monday through Saturday, and you can contact us anytime if you have questions or are looking to set up a test drive.